Have you wondered why a BMTC bus is forced through a narrow 9-metre road in Bengaluru? Why entire layouts come up without amenities that they city later has to somehow account for? Plenty of noise is regularly made about lack of ‘proper planning’ in Bengaluru city. However, it isn’t that Bangalore itself lacks qualified planners and architects to work with the city administration. One such planner and ‘urban practitioner’ as he calls himself is Mohan S Rao. Bengaluru-born Rao, 43, feels that local authorities must reverse the process of viral housing that is the result of agricultural land being contiunally divided into sites for housing. He instead advocates land pooling into larger chunks of several hundred acres for planned expansion with amenities. Based out of Jayanagar, Mohan Rao is currently working with the Government of Gujarat and the municipal corporation of Surat for planning an orderly expansion of that city. He is a trained landscape architect from the School of Planning and Architecture, Delhi. Rao’s firm, Integrated Design (InDe), is a professional design firm providing consultancy services for environment design, regional planning and landscape architecture. Outside India, InDe is involved with urban planning for cities in Morocco, Libya, France, Italy and China. How is it that an accomplished planner is able to help other cities in India and even across the world, and not his own beleaguered home town? Citizen Matters caught up with Mohan Rao in a freewheeling conversation last month on the backdrop of ‘Imagining Cities’, a week-long conference organised at Chitra Kala Parishath. Readers, be prepared for a close-to-home explanation from an expert who actually does what he talks about. The mess that Bangalore’s infrastructure has become, is this really a planning disaster or a political disaster that planning can’t fix? It’s both, the planning disaster is the bigger one and it’s easier to fix. Why is the planning disaster easier to fix? First of all you really need to look at the institutions that do this. They have no internal capacities to understand these issues that plague our city. They keep on producing band-aids after band-aids without understanding what the organism is all about. You cannot have piece-meal consultancies that deliver a fly over system somewhere else, a park or a lake management system. It has to be coordinated. Let’s move to the violation side of planning. A lot of people complain that the setbacks required for 40×30 sites are so out of touch that people will just build out their house on the entire site and violate byelaws anyway. What do you think should change in the bye laws to cut down the number of planning violations that are happening? Legitimising violations is not the answer. To reduce the violations first of all you need to understand why they happen. Because they are based on a very sad premise of land sub-division. You cannot have endless amount of land sub-divided into little pieces no bigger than a handkerchief for individual people. What kind of a city are we building? Can you, for example, start looking at land pooling and say I am not going to give permission to every 3 acre or 5 acre piece of land that comes in for conversion irrespective of the fact that they are in the CDP and in the right zone. Can you explain to a lay person what is land sub-division? Land sub-division, for example, say, I own three acres of land on Sarjapur road; I have been a farmer all my life. Now the prices have gone up and I will go to the district commissioner and submit a proposal and sub-divide it in to 50 or 60 or 100 sites or whatever it can take and that‘s it. For this land, as a developer or as the final owner, I am in no way responsible for any services that have to be provided here. Will the BWSSB say sorry you cannot build here because we cannot give you water? Can the BMTC say we cannot stretch our mobility till here? And then you want to have more cars or vehicles or whatever. Then you say you say there’s no parking space, you need bigger roads. So you are saying the problem begins in the process of housing being created by land sub-division in a way that is completely unrelated to all the other infrastructural needs of the area? Absolutely. You need, for example, urban services to work. You have now urban transportation, BMTC buses negotiating 10 metre wide roads because they are now declared as main roads that go into a locality! New housing (layouts) are added to the city without any provisioning for water, transportation links to the layout, etc. We assume that all these citizens are going to have vehicles and they will find their own way to work. Have I planned a bus terminus which can cater to the 30,000 living there? The bus terminus just happens to find a place and blocks the road. It’s not just a question of size but of vision and integration. What is done in other cities or other countries that do it well that links the process of land and housing creation? You don’t even have to go outside the country. Within the country there are lots of good examples where the first thing that you need to do is you need to have a minimum of land that needs to be converted. For example if we assume that the BMRDA is now a functioning body and you have a vision for the city that says this is the housing sector industry…the people of the area will need to pool in land and have an approved layout that works together. It cannot work individually as pieces of land. So if there are 40 farmers in the area and there is a proper process for notification and inviting and pooling. When you are doing collectively you can have you playground, parks or public facilities without compromising on your housing and development need. So you are saying layouts should be much larger than what they are now so that everybody pools land together and it has enough infrastructure. Not just larger, they need to be better integrated. So like MICO Layout or Bankers’ Colony or Canara Bank Housing Colony, Vijaya Bank Housing Society, all this housing that’s coming up and all these society layouts. We have just been slapping them into the city wherever land was allocated. How else would you actually see it happening? Look at these layouts; they have no public institutional space. Where will hospitals go? Where will educational sector go? Where will playgrounds go? We do have norms that say 30% of the area should go for civic amenities and sites. That 30% we know very well is invariably converted to some or the other commercial use. It becomes a marriage choultry or it becomes something else that earns back the money. Where do the public amenities go? Is there some way I can introduce the question of mobility in to this. We assume that all these citizens are going to have vehicles and they will find their own way to work. Have I planned a bus terminus which can cater to the 30,000 living there? The bus terminus just happens to find a place and blocks the road. It’s not just a question of size but of vision and integration. Can you give a example of a particular city which has been doing this well? Surat has done a nice start. Simply because of experience. Because I am involved in the exercise I can say so. Land pooling as a mechanism has been mandated by the State and Gujarat Town Planning Act is strong about this. Give us an example of what that means. What is land pooling doing there? For example, now Surat has to extend one part of the city like a layout because of housing and industry demands. So it has notified a certain parcel of land. It is about 400 acres. Now all the land owners, by law, have to pool their land and get a scheme approved by the municipal commissioners which will cater to all the demands that the city has on that piece of land. It is not just a piece of real estate but it has all these responsibilities to the city. These, let’s say, of 400 acres land there are about a 100 owners of various land holding sizes, they have been pooled in together and the city puts certain conditions that these are the minimum that will be surrendered back to the city like a police station, a bus terminus, a school and the rest of the plots are mandated within the larger vision. You can’t just put in anything you want there. So much area is commercial, so much area is residential and so on and that is how land pooling works and now you know that this whole area will work together and because the city is involved, the city also has a responsibility to provide basic services there. We (Bengaluru) have also expanded along Kanakapura road, we have expanded along Sarjapur road, we have expanded along Whitefield road. None of these are planned expansions. You travel along any of these roads and what is worse is if you travel between these arterial roads. Arterial roads are where big developments happen. What happens on the inside? Every farmer who had a 2-acre and 3-acre plot has sub-divided it and sold it as sites. They haven’t pooled it with other farmers who sold their land? They don’t care what happens after their site ends. So they are filled with these 6 metre and 9 metre roads. They are terribly congested. There’s no way the city can reach services in to those areas. So you will have violations. Every site will end up having bore well. It is much worse than having a building violation. There is no requirement to any kind of amendment to the law. The law is strong enough as it is. The law recognises pooling. It’s a question of implementation and more important than the implementation is the matter of interpretation of the law. Right now we are interpreting in the shortest and the most shoddy manner possible. Which is the right agency to do ensure land pooling? It has to come from local planning agencies. What those local planning agencies are, can vary depending on the landscape we are talking about. In Bangalore’s case it will certainly have to rest with the BMRDA, which will set out a vision. And within the larger vision, there can be many possibilities. Giving power to the Deputy Commissioner (district revenue head) or some other official for granting conversion of land is completely senseless because they have no clue what a city in their district needs or how the city needs to grow. Bengaluru’s planners – what needs to change? You said in a related conversation to me there are not enough architects and urban planners employed within Bengaluru. Absolutely. Architects are not at all in the picture in the scale that we are talking about. You need planners who understand how cities work, you need planners who have backgrounds of geography, economics, architecture, urban planning. What kind of planners does Bengaluru now have? We actually don’t have any. In probably the entire city of Bangalore, at least in the municipal agencies, the BDA and the BMRDA put together will have a dozen planners employed. But there is a department of town planning in the state government that seems to appoint people with town planning roles that go in to municipalities. Yes, but if you look at the size of the city that we are talking about and the capacity that is needed, BDA has all of, the number may be wrong, two or three planners. For a city of 60 lakh people spread over a 1000 kilometres, you can’t have three people doing this job and blaming them that they are doing a bad job. It is a reflection on us as we don’t even recognize this as a need for this city. What is the benchmark? Is there one for other cities that you are intimately familiar with, where you have an idea that for this size, this population, this should be the number of planners that they ought to have? Well, for example, DDA, Delhi Development Authority, probably has close to a 100 professionals, internally for their organisation. It’s not the question of just qualification, like I said, you could have specializations. You could be a landscape architect; you could be a geographic planner. Mumbai probably has, you know, maybe half that number, maybe fifty or sixty. It’s still a sizeable number. Bangalore does not even have a fraction of that. But BBMP will argue that they have got town planning kind of designation, at the zonal level, people who have approved plan sanctions..
We don’t need planners to approve a plan. We need planner to make the plan. Who envisions what the city will be like, twenty years down the line? Do we continue to allow individuals and developers to define what my city will be? Every one acre and two acre is sub-divided and declared commercial or industrial and if somebody approves it, where is the larger vision? How should the larger vision come about, to account for the massive socio-economic variations in Bengaluru? It should come from a nodal agency like the BMRDA (Bangalore Metropolitan Regional Development Authority). Whether they do it by appointing a 100 consultants or appointing a 100 staffers it does not matter. That’s only a question of a process. But we still do not have a vision for the city. Each time we have a problem then we ask ‘BMTC to put in another 100 buses’. Do you feel that the city council should actually come up with a vision for the city or the state cabinet should come up with a vision for the city? No, it should not be the state cabinet at all. They (cabinet ministers) are the one who usually do the talking about Bangalore. The city council usually seems sidelined. Correct, that’s where the money is I guess but they (cabinet) are in no way either technically or constitutionally mandated to be doing this. Sapna Book House is a household name in Bengaluru for almost two decades now. They were there before multi-retail book stores came in. The fact that they are the largest publishers of Kannada books was another reason for their popularity. How are they managing to survive and grow in the e-commerce era? 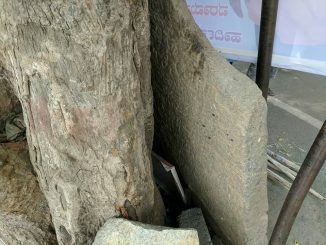 Bengaluru’s stone inscriptions that could trace the city’s history from pre-Kempe Gowda days are in danger. A new project could make a difference. Excellent article. Why is it that the one who has the knowledge never gets connected with one who needs the knowledge? Maybe someone rightly said that “You cannot make anything foolproof” because fools are so ingenious! This is an ideal situation, but unfortunately it is not clear how such a plan will ever be initiated. Any such plan cannot get past the thousand little cuts that developers and BDA/BBMP/BMRDA officials will inflict on it. Bangalore has some of the zoning laws and but needs effective methods of enforcing it. How can this happen when a populist scheme like “Akrama Sakrama” is encouraged and there is no organized protest from the majority of citizens who will suffer from it eventually? Perhaps the solution is to have some market and regulatory mechanisms to encourage this – eg. developments larger than say 100 acres with the defined public areas, will get access to other city services like buses, BWSSB, etc. Perhaps substantial tax benefits can be offered to developments which follow such a norm. But even these measures will face pressure from developers who will “encourage” officials to bypass such rules, and get the benefit anyway. Makes perfect sense. That is one of the tragedies of Bangalore. Common sense can sound like pearls of wisdom in our city today. Two questions. (1) How do we get this to happen? (2) More importantly, how do we fix or improve the existing mess?Does Mr. Rao have suggestions for that? Excellent analysis. One of the most level-headed and insightful analysis to come out of Citizen Matters in a while! Hope someone, somewhere in the government will read this and at least begin to think of a having a vision or develop some ideas about planning for Bangalore. hope this reaches each and every one of the new lay out developers who plan each and every square foot of the lay out to be sold and none for the public convenience or civic amenity. bus shelter and wide commuting roads are an absolute necessity for the well being of the citizens and not a luxury as thought by those greedy developers.